As many of you know, Dean Stapleton has been tapped for the role of Interim Provost for the transitional first year of Dr. Edward Montgomery’s presidency. 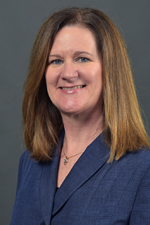 Contrary to popular belief, she actually cannot be in two places at once, so I have stepped up to fill the role of Acting Dean of the Graduate College at Western Michigan University for a one-year term. My dedication to graduate education started well before I became Associate Dean of the Graduate College in 2014. I came to WMU in 1996 as Assistant Professor of Biological Sciences and progressed through the ranks to Full Professor. Throughout my career, I have focused on mentoring students and have supervised the research projects of 5 doctoral, 9 masters, and 74 undergraduate students. 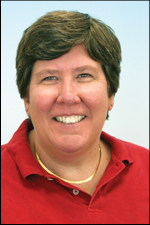 From 2010 to 2014 I served as graduate advisor for the Department of Biological Sciences. My experience teaching a professional development course for graduate students in the sciences led to the creation of the new Plan It 4-Ward Individualized Development Plan now available for all graduate students. WMU now participates in the worldwide Three Minute Thesis competition, which challenges graduate students to explain their work in 180 seconds; for the last two years, our University-wide winners have gone to the regional competitions. I also oversee the university-wide Interdisciplinary Studies Doctorate. At this time, eight students have enrolled in this program, with inquiries coming in daily from prospective students. I have also worked closely with Epigeum (now with Oxford University Press) on their “Advising Doctoral Students” tutorial for faculty and am working on additional mentoring resources to assist faculty in becoming great advisors. Since becoming Associate Dean I have continued to mentor students in my lab as well as serve faculty, students, and staff as a resource regarding university policies and procedures related to graduate education. As Acting Dean of the Graduate College, I look forward to continuing our positive working relationship with the amazing faculty, staff and students of Western Michigan University. It was an exciting Fall 2016 semester that started with the Graduate College moving to our newly designed space on the first floor of Walwood Hall. 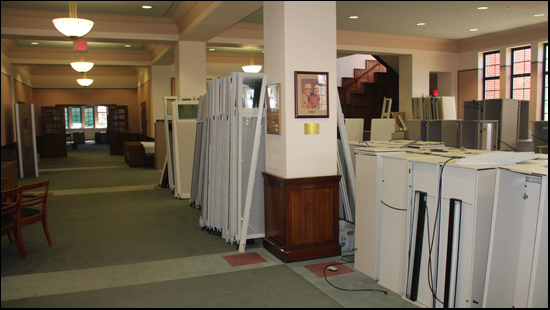 We recycled much of the office furniture and cubicle framework left by the Office of Development and Alumni Relations, turning it into our exciting new home. We unofficially opened our space to the public during Homecoming weekend and were pleased to welcome back many alumni and friends who stopped by to see our new space. During the Homecoming weekend, we were excited to learn that the Alumni Association Board of Directors voted to include an opportunity for first time enrolled graduate students to apply for the Legacy Scholarship. Previously, the Legacy Scholarship was only available for undergraduate students. We are thankful to the Alumni Association Board of Directors for this exciting opportunity for our graduate students. Details about the application process for new graduate students will be forthcoming. This fall, we also welcomed graduate students into the newly refreshed Stadium Drive apartments. Working with our colleagues in Student Affairs we were able for the first time to reserve on-campus housing for graduate students. 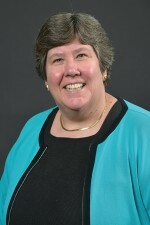 Our thanks go out to the Vice President for Student Affairs and the staff of Residence Life for making this a reality. The fall semester ended on a high note at graduation as over 27% of participants received graduate degrees. Forty of these new graduates were doctoral degree recipients. The scholarly work of these graduates along with their faculty mentors are advancing our understanding and knowledge in several areas: evaluating the training of student affairs professionals in community colleges; setting and evaluating expectations of mentors; understanding the impact of visual impairment on daily tasks; assessing the economics of child labor and education, and determining ancillary treatments for depression. We are incredibly proud of all our graduates and the contributions they have made to their fields of study and to the global Western community. We are looking forward to an exciting 2017. 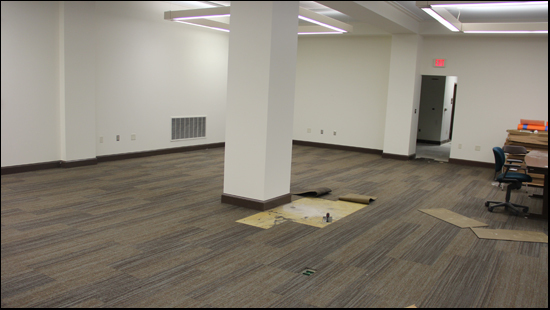 In our last newsletter, I indicated that with the move of WMU’s Office of Development and Alumni Relations, the first floor of Walwood Hall became available and that through generous support from Academic Affairs, the Graduate College will be relocating into this space. We have been very economical and sustainable and have reused just about everything we could. It has been fun to be part of the process and we are getting very close to being able to move. The photos below are of some of the progress that has been made. 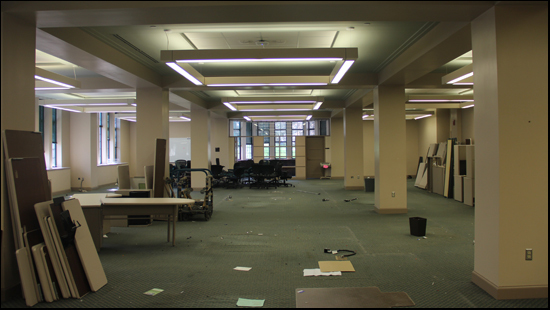 As indicated before, this relocation allows us for the first time to provide dedicated office space to the Graduate Student Association and to create the Graduate College Student Commons, a room for graduate student meetings, workshops, seminars and study space as well as a lounge area. We would love to add your name to our donor wall to recognize those who have made financial contributions to the Graduate College in support of the creation of the Graduate College Student Commons. To donate to help us finish this project, go to the Graduate College page on mywmu.com or follow the link for Giving to Graduate Education on the Graduate College homepage (www.wmich.edu/grad). We of course will be planning an open house in the Fall and hope you will be able to attend. The opening of Heritage Hall, the official name for the newly renovated East Hall, brings about a sense of excitement and nostalgia on campus and provides us with the opportunity to reflect on the beginnings of WMU and how we have grown as a university. Heritage Hall is now the home to the WMU Alumni Center and WMU’s Office of Development and Alumni Relations. The move of WMU’s Office of Development and Alumni Relations opens up the first floor of Walwood Hall and the Graduate College will be relocating into this space. 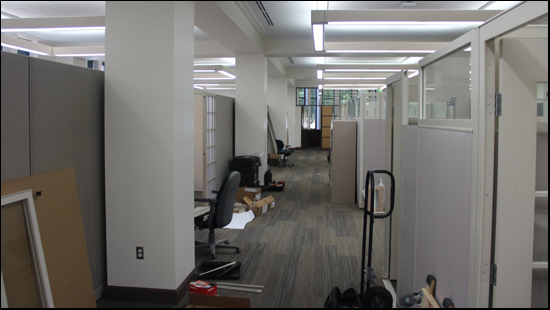 This relocation allows us for the first time to provide dedicated office space to the Graduate Student Association and to create the Graduate College Student Commons, a room for graduate student meetings, workshops, seminars and study space. Within the student commons we hope to be able to highlight former graduate student leaders and past and present supporters of graduate education. If you were a former graduate student leader we would love to hear from you and how your days at WMU may have helped influence your current success. We will also be creating a donor wall to recognize those who have made financial contributions to the Graduate College in support of the creation of the Graduate College Student Commons. To donate to help us make this a reality, go to the Graduate College page on mywmu.com or follow the link for Giving to Graduate Education on the Graduate College homepage (www.wmich.edu/grad). It is a pleasure for me to welcome you to the readership of our first e-news for the Graduate College at Western Michigan University. In May of 2012, I was honored to be named Dean of the college (story) and am excited about helping to shape the future of learner centered, discovery driven, globally engaged graduate education at WMU. As you know, graduate education is pivotal to our classification as a research university and ranking in national publications. The Graduate College and its staff serve as a hub for professional development opportunities and support services for graduate students as well as the gatekeeper of policies and procedures that ensure quality and excellence. For the upcoming year, the staff and I have set a number of goals to enhance our services in support of graduate education at WMU. One goal includes increased outreach and communication to all our constituents. In addition to the e-news, we are excited to partner with the Graduate Student Advisory Committee to begin our Graduate Student Ambassador program that will help us to engage more with our current graduate student body as well as potential future graduate students and our alumni. We will be looking for ways to increase support for our students in their teaching, research and scholarship and global engagement. We will be seeking new ways to provide financial assistance for graduate students, in particular for critical times in their degree programs such as thesis or dissertation completion or when faced with devastating life occurrences. We are excited about the possibilities and welcome your input and support aswe move graduate education forward at WMU.